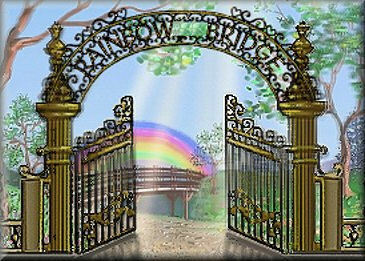 The Rainbow Resident Gift Certificate, a gift of compassion, allows your grieving friend or family member create a Rainbow Residency Memorial in tribute to their departed furbaby. This thoughtful gift shows that you truly understand and honor the memory of their beloved pet, who shared his/her love unconditionally. The one-time fee for a Rainbow Residency Gift Certificate is $25.